Shreeji Cad Techno Pvt. Ltd.
Shreeji Cad Techno Pvt. Ltd., a company working with a prospect to serve Gems and Jewelry Industry with the ultimate solution to Jewelry Manufacturing using the latest technology. A company functioning under the three founders Mr. Chandresh Soni, Mr. Vishal Dobaria and Mr. Vijay Jadav aims at providing the customers the best 3D printing technology. SCTPL has always come up with the latest remedies to upgrade the manufacturing method and make it convenient to the users. The latest 3D printer ‘RobotFactory’ for Jewelry Manufacturing with great Accuracy, Speed and User friendly has astonished the customers with its perfection and precision. RobotFactory machine is time efficient and economical. 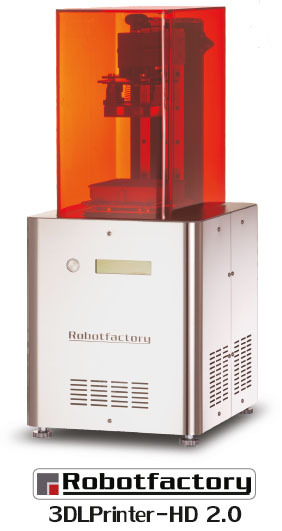 The 3DLPrinter-HD 2.0 builds, with high-precision, 3D models obtained by layering the photoresist resin, using DLP printing technology.Its excellent use for prototyping of 3D objects, aesthetic evaluation and design, small series production, in fields such as: jewelry, design, dentistry, architecture, production of medical equipment, etc. satisfies the customers. Mr. Chandresh Soni, M.D. of Jewel Cast & Techno at Ahmedabad is in Jewelry Industry for more than 20 years. He is ambitious and works with alacrity to satisfy the customers’ needs. Under his roof, the company has grown tremendously. Company serves to CAD/CAM Solutions. Along with his dreams, he aspires to nurture the future of Jewelry Industry. His positive perception towards his contenders leads him the prodigy he is today. Mr. Vishal Dobaria, the founder of Parth CAD CAM Service Company, Mumbai serves the Jewelry Manufacturers and customers with satisfaction since 2009. He is determined and provides with the best service to CAD/CAM Solution. A complete solution to CAD and CAM services with the mordern technology. Mr. Vijay Jadav, the founder of the Vaishnavi CAD CAM, Mumbai since 2007 is also providing services to CAD/CAM Solutions. With great sincerity he has brought up the company satisfying number of customers.